It’s a great time to be a cyclist in D.C. The city has a flourishing Capital Bikeshare program, bike lanes are being installed in various parts of the city, and Metro’s prices have gone up so much that commuting seems like a prudent thing to do. But that’s not all. Twitter and the local blogs are bonding the D.C. commute and cycling community together more than ever before. Let’s take our friend and tweep, @sharrowsDC (aka Brian). How many of you have seen this guy, read his blog, followed his tweets, or noticed his buttons around town? Of course you have! 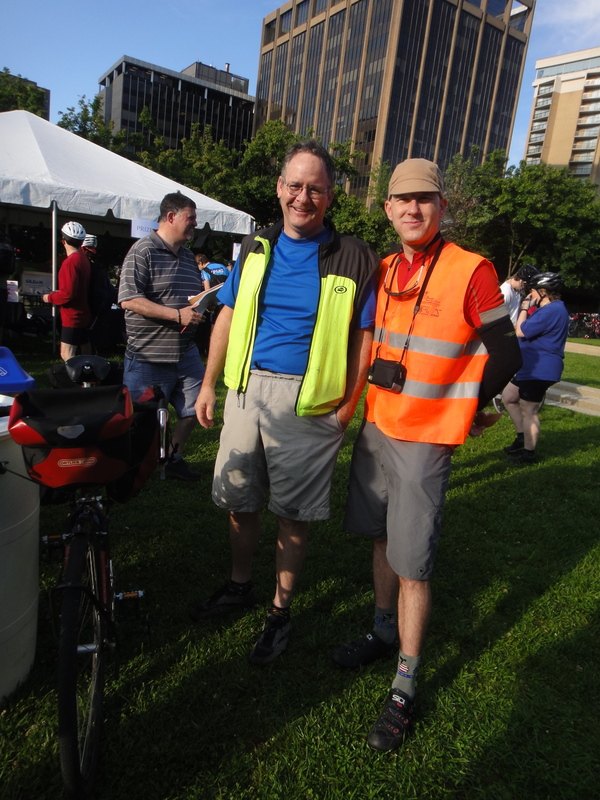 Brian is a dedicated bike commuter who blogs about his commute every Monday through Friday. He is also a big advocate for more bikes and improved bike infrastructure in our city. That kind of commitment is not for the faint of heart. As many of you know, all the proceeds from Brian’s shameless button sales go directly to the Washington Area Bicycling Association (WABA). Many of us in the D.C. commute crowd are connected to each other through Brian. Don’t believe me? 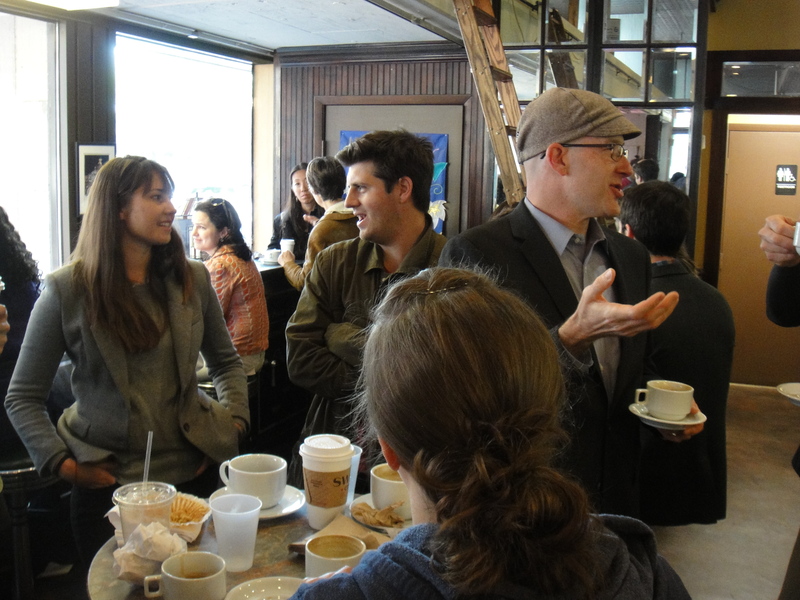 Stop by #FridayCoffeeClub; you’ll see. What about other local cycling bloggers? I avidly follow the rides and training of over 20 D.C.-area commuting blogs. We have some excellent writers and riders in our geographic circle. Want to feel more connected? You can check in on them, too, just by scrollling through my “DC-Area Cycling and Commuting” Blogroll. And how about Twitter? 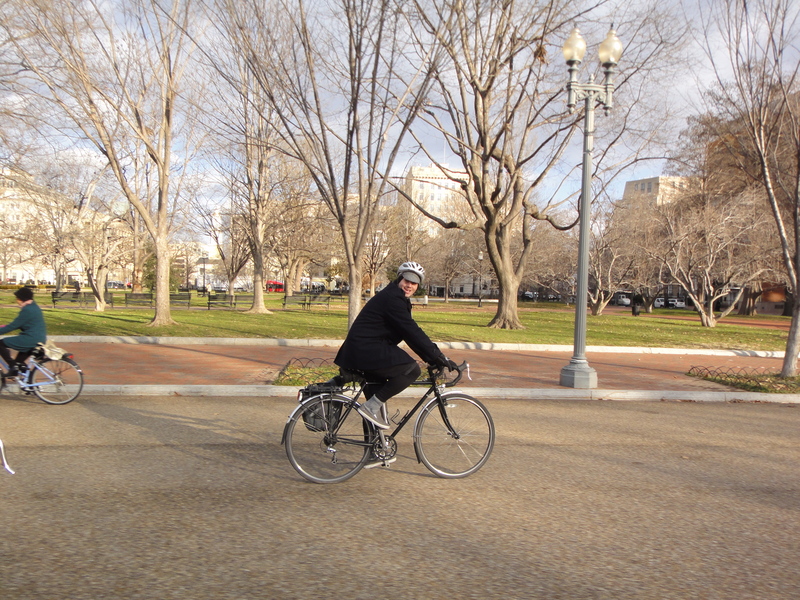 Through Twitter, I’ve gotten to know many of D.C.’s cycling regulars. #BikeDC. We give each other road and weather updates, commiserate, provide encouragement, and share details of our commutes with each other. If I want to know about gear, a route to a new part of town, or even a road closure, I often check in with my #BikeDC buddies first. By the same token, if I want to share an event I’m doing, I use Twitter to get the word out. Last week, Felkerino and I rode the D.C. Randonneurs 400K checkout ride. 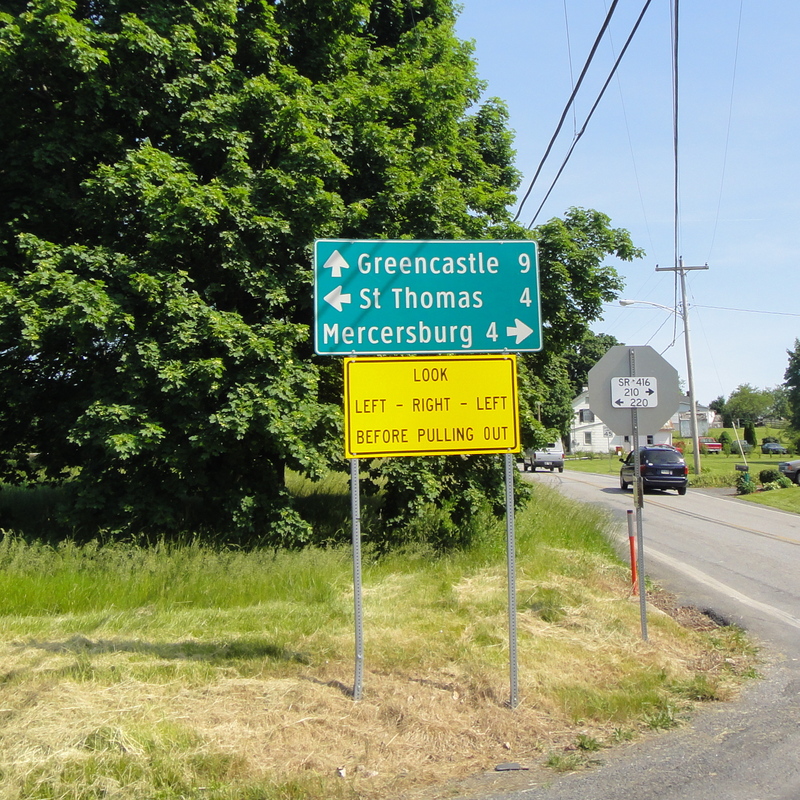 That’s a long BLEEP ride. The #BikeDC tweets helped motivate and keep us going, even the ones where you told us we were crazy! I can’t believe how much the local blogs, Twitter, and more specifically, #BikeDC have made me feel so much more a part of my community. It’s great to feel like I’m not alone on the roads and that other people are taking to the pavement just like me. I might even ride by a tweep or blogger I know, and that always makes my community more intimate and comforting. #BikeDC. I know you, you, you. There’s no reason to ride alone. We’re all in this together. 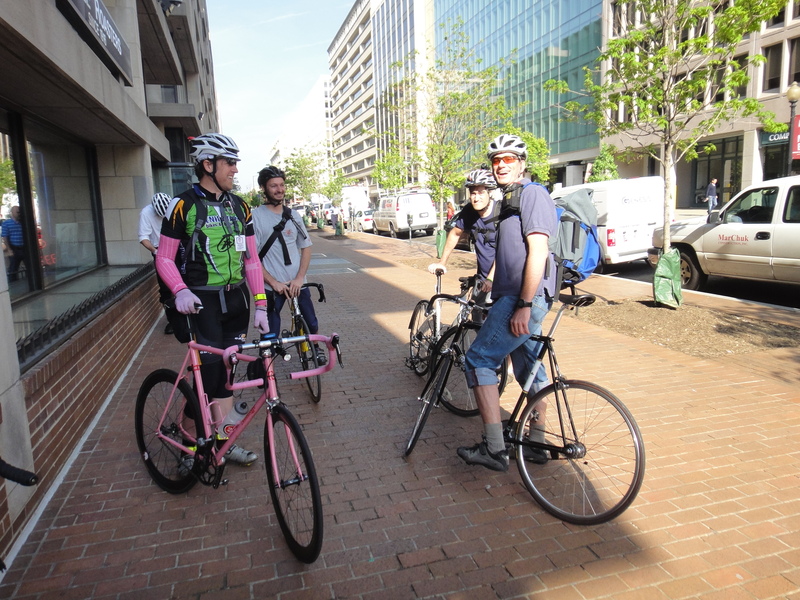 I’ve got the tweets, blogs, and friendly waves from other #BikeDC riders to prove it. So if you ride in D.C., get thee a Twitter account today and start reading the local blogs. You will not regret it! Aw, this makes me want to renege on other obligations and head down to coffee this Friday! I feel honored to be part of this community. #bikeDC folks are great! 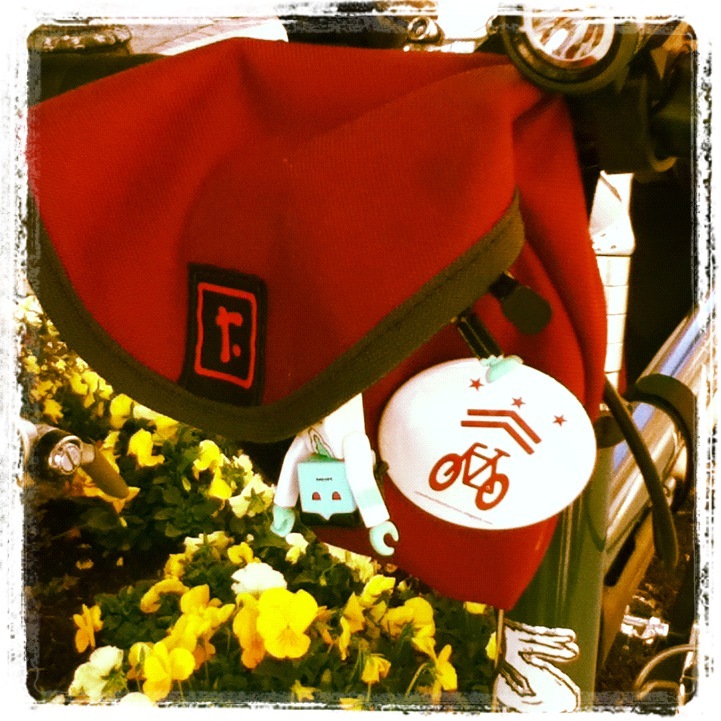 It’s great to see affinity groups forming around something as cool as bike commuting! The Seattle community is awesome as well, however more to the point – I’m going to visiting my sister in Arlington next month and would really love to connect with as many #BikeDC folks as possible! I’ll be in touch via Twitter as the date gets closer to be sure I don’t miss a #fridaycoffeeclub!